My neighbor Rob Austin and I are both members of the Gwinnett Woodworkers Association. Rob shot some photos and video clips of his awesome woodworking shop and he asked me to put them together in this video tour of his workshop. I think I need to start visiting Rob a little more often. Am I the only one who likes to swing my hammer in perfect time at just the right tempo? I love accenting that last note when sinking the head of the nail into the wood. Woodworking is a very percussive craft. Check out how I used a variety of woodworking tools as percussion instruments to create a woodworking percussion ensemble. It's a pretty good beat and you can dance to it! Turn Something Old Into Something New Again! My mother-in-law asked me to update her old weather station. I removed the gauges and used those, but scrapped the original frame. I built a new frame out of oak. 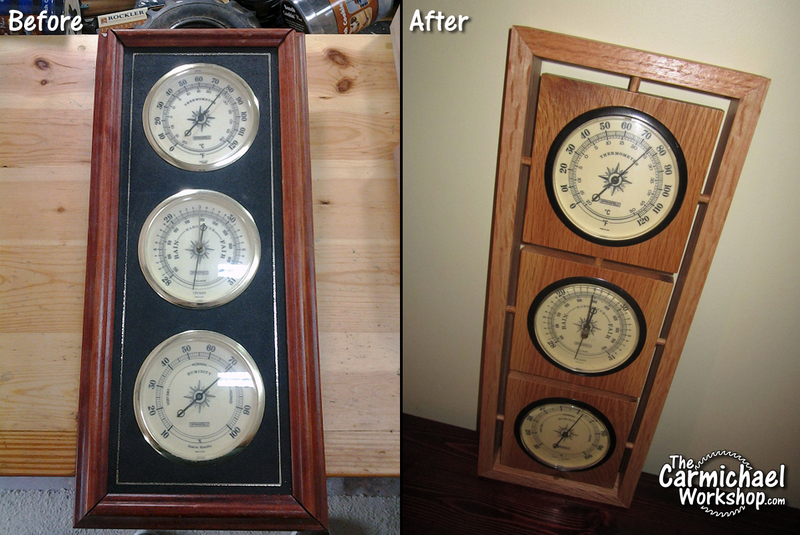 The gauges are mounted in three square pieces of oak that are attached to the outer frame with small dowel rods. The key to this project was careful measurement of the dowel hole locations, dowel length, and the open gaps around the three squares. Look around your home for something that could use a little updating and go for it! My son needed more leverage to tune his marching snare drum, so I embedded the small metal drum key into a wooden handle. It's made from German Beech and works great! Rockler Features Video from The Carmichael Workshop! Rockler Woodworking and Hardware is featuring my 1950's Record Player Stand video on their website's Hairpin Table Legs product page, as well as on their YouTube channel. I hope to do another video for another one of their products again very soon. Stay tuned! 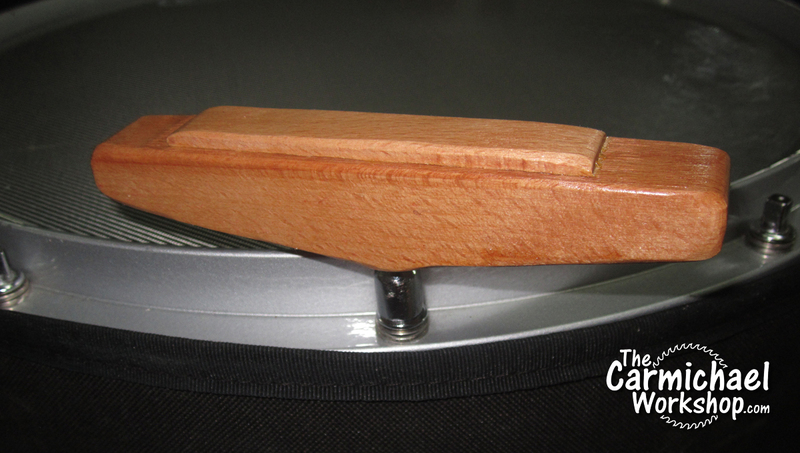 I made this Record Player Stand for my 1950’s Westinghouse portable record player. My 8-track and cassette players fit on it too. It’s made from a single 2’x4’ sheet of 3/4” Sandeply plywood and 5/8” pine dowel rods from Home Depot and assembled with just wood glue. The legs are the 16” Hairpin Table Legs from Rockler. I painted the dowel rods and plywood edges black for a sleek look. I was afraid it might wobble or sway because of the dowel rods and legs, but it is really rigid and barely moves. I think the 12 album divider rods give it lots of strength.